Tips to be a Good Person | Check Out My Greatest Tips! Do you ever wonder why you become a bad person but you didn’t mean like that? Yeah, everyone must ever think about that. That’s normal for most people. That’s why my today topic about tips to be a good person. I’m sure everyone has a reason how can they become like that. Now, for you who curious how to become a good person, just check out my tips below to answer all your doubt within your heart, be ready guys! Tips to be a Good Person | My Personal Opinion! Know Your Mistake: For people who have a high pride. I’m sure they won’t admit their mistake. They will cover their secret until everyone forgets it. 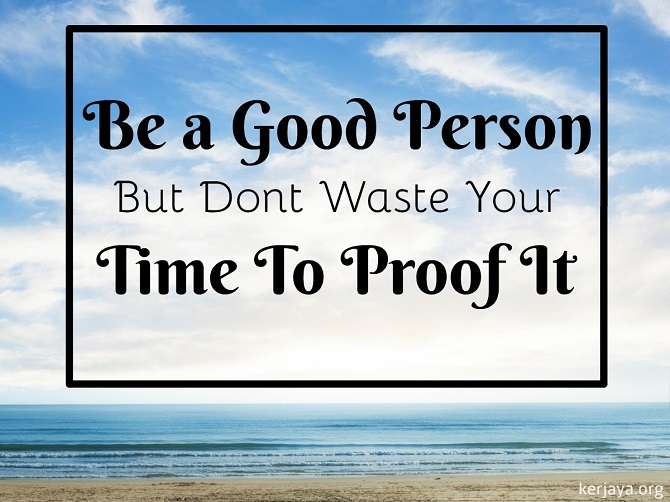 If you want to be a good person, you must admit your mistake. Tell everyone if you who make the mistake. I’m sure everyone will think differently about you. Role Mode: How to become a good person? The answer chooses the role model. The easiest example is your parents or someone who have higher status but with a good act. For watching the person, you can mimic the good traits from them. Of course, don’t only see it, but you need to apply it in your real life. Be Yourself: You are you, yeah, you can’t become anyone else. So, just become yourself is enough. For people who can accept their self whatever the reason, they can become the good person. Do anything that you can do to help others people. Make a List: If you’re the type of person who always forgets about something, this is a good start to becoming a good person. Make a list everything that you want to do. Change yourself bit by bit is enough. Don’t do anything that you can’t. Why? Because it will affect your life itself. Do everything that you can do. A small thing is enough, the important is have positive effects on yourself and everyone else. Charity Event: If you confuse how to become a good person, you can do a charity to some place who needed some donation. You don’t need to give all your money or something like that. Just give something that they need the most. The important one is you willing to give it to them. If you’re heart feel differently, you must have a hidden motive. Forgive Someone: I think this is the hardest thing to do. Especially, if you’re the type of person who easily gets mad. That’s why you need to be cautious with the people who you talking to. If you can forgive them easily, it’s different case with them. I know it’s a hard thing to do but you need to try. Hopefully, my tips to be a good person is helpful for all of you. If you want to add something, don’t hesitate to give your comment below. I really appreciate if you can do that. I’m sure you already know the answer how to become a better person. Okay, guys, I think my article today is enough, see you all again in my next article. Have a nice day and God bless you all. The Seven Deadly Sins | The Things That You Need to Know About this One! Best Wedding Place That You Should Try! Check it Now!